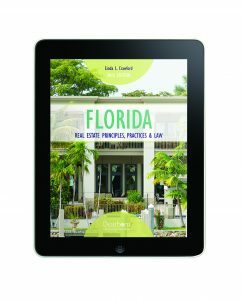 Florida Real Estate Principles, Practices & Law sets the standard for real estate education in Florida. This edition conforms with the Florida Real Estate Commission (FREC) Sales Associate Course I Syllabus, effective January 1, 2015. Instructor Resources include a complete Instructor Manual with chapter teaching outlines, discussion questions, and classroom exercises. Practice quizzes provide instructors with additional classroom materials for reinforcing important concepts.